Have you tried to apply the default theme forWindows 10, rebooted, and then tried to apply this skin? I have applied/reapplied several different themes, including standard Aero, Aero Basic, and Classic, then reapplied this theme, with the same result. 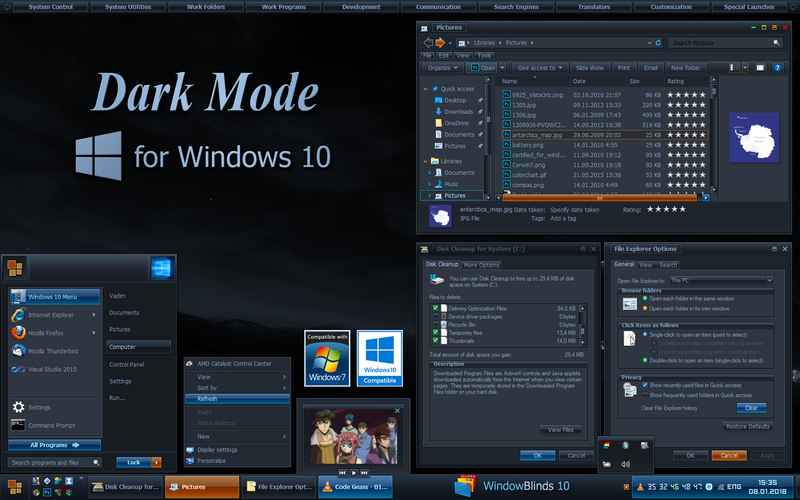 Also, just to clarify - I'm on Win 7 not 10, but I *AM* on WB 10. Is there a way to make the task bar thinner? Really enjoy the skin, but when I do side-by-side window viewing to multitask, there is a little gap in between of the two screens. Is there a way to fix this? Go to Settings, The taskbar should be sized asfollows: Small taskbar size. Hi. What text font are you using for this? Looks great!